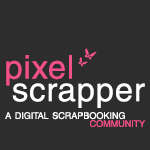 I have been gone from this blog for 3 years. In that time I have barely scrapped at all. A few home ones and a couple of gifts. Cleaning out the computer one day, I came across my kit folder and thought I would get back into it. Have been playing around with PSP a fair bit recently, and have been making a few freebies to offer as I have been learning new things. No point making and deleting! 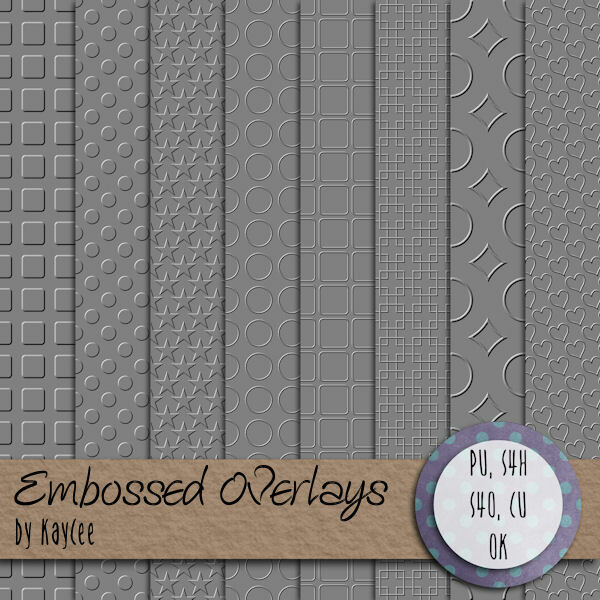 So here I have some free embossed overlays. They are PU, S4H, S4O and CU ok. You can use them to make your kits and whatever you like, just change them up! (Don't sell or redistribute as is, just link my post). So here you go. 8 pages at 3600x3600px and 300dpi. Simply click on the image and it will take you to the download page. (From my google drive, no need to sign up for a media share site!). The overlays don't look very sharp, but I promise, they are! Hope you enjoy them. Would love to see what you make.